Classified as one of the oldest among all the contemporary classical dance forms, Bharata Natyam holds a prominent place in our culture today. Over the centuries, innovations and creativity has moulded it, without changing the original purpose and essence, into a spiritual, divine, and a meaningful addition to our society. 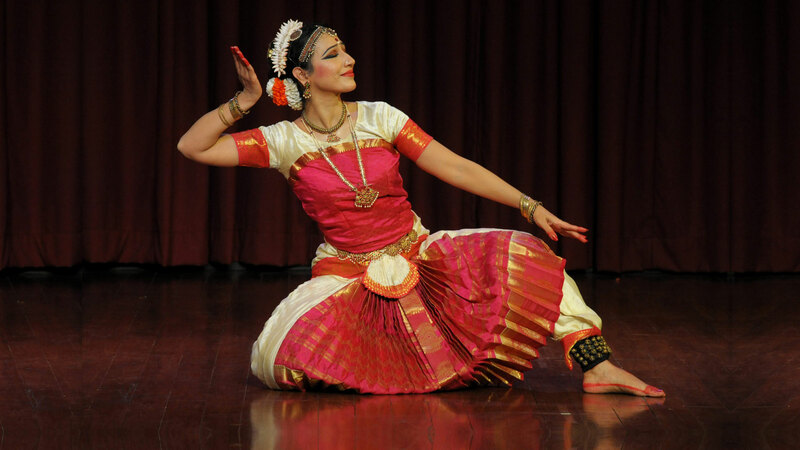 As much as there is room for improvisations and imaginative interpretations, Bharata Natyam or classical dance as such, is a science in itself. One has to follow the parampara, shastras, sampradaya and certain technical rules to keep its originality and purpose alive. Bharata Natyam, along with the other classical art forms in India, has its origins in the manuscript called the Natya Shastra which was written by Sage Bharata around 4000 B.C. It was primarily conceived out of the urge to express one’s emotions and exuberance. When the world was in a state of turmoil and endless conflicts, and greed and desires prevailed, Brahma pooled all the resources from the four vedas to create a fifth veda called the Natya Veda. Thus, as a form of expression, often called a yoga, dance proved to be a medium through which common man could find unity between the cosmos and its creator. Originally called Sadir, Bharata Natyam, was strictly prevalent in temples and was performed on religious and festive ocassions by Devadasis. It later came under the patronage of kings of Southern India. It was only in this century that Bharata Natyam revolutionized and gained attention and regard in the society as a classical art form. Rukmini Arundale and others pioneered this movement and it was thus popularized among all classes of society. Dance originated and became part of the temple because its aim was to attain spiritual identification with the eternal. The center of all arts in India is Bhakti or devotion and therefore, Bharata Natyam as a dance form and the carnatic music set to it are deeply grounded in bhakti. 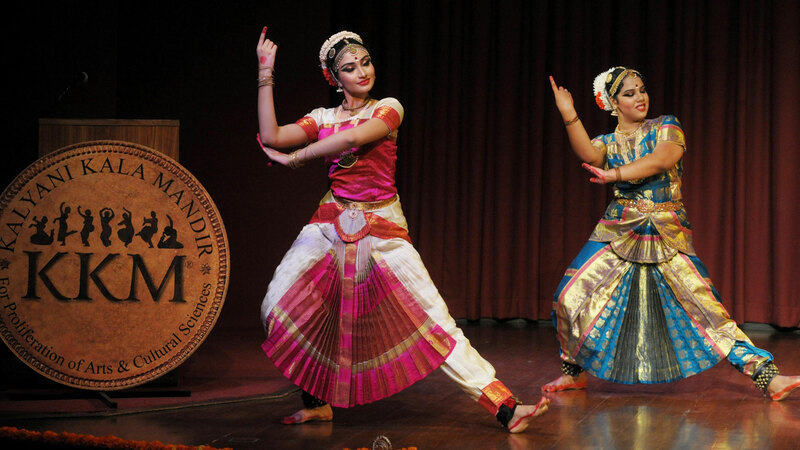 Bharata Natyam, it is said, is the embodiment of music in visual form, a ceremony, and an act of devotion. Dance and music are inseparable forms: only with sangeetam (words or syllables set to raga or melody) can dance be conceptualized. 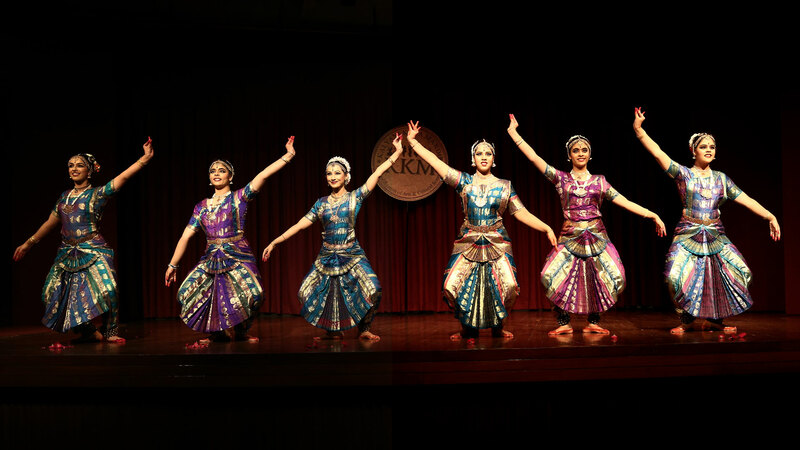 Bharata Natyam has three distinct elements to it: Nritta (rhythmic movements of pure aesthetic value), Nritya (movements in which expression or abhinaya is emphasized), and Natya (dance with a dramatic aspect). The word Bharata, interpreted as the dance form created by sage Bharata, has within it the essence and uniqueness associated with Bharata Natyam: Bha for bhava or abhinaya and expression, Ra for raga or melody, and Ta for tala or rhythm. “The Bharata Natyam recital is structured like a great temple: we enter through the gopuram (outer hall) of alarippu, cross the ardhamandapam (half-way hall) of jatiswaram, then the mandapam (great hall) of shabdam and enter the holy precinct of the deity in the varnam. In dancing to Padams, one experiences the containment and the simple and solemn chanting of sacred verses in the closeness of God. The thillana breaks into movement like the final burning of camphor accompanied by a measure of din and bustle”. A prayer, or mangalam, tradionally marks the end of this most wonderfully complete and symmetric art. As students, teachers, and patrons of dance, we must realize the significance of this sacred art and use this medium to unify and reassert the harmony of man with man and of man with God.